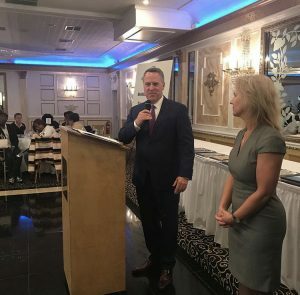 On the evening of March, 19, 2019, Chris Hillmann had the honor of speaking at this year’s Boys & Girls Clubs of Union County (BGCUC) Youth of the Year presentation before presenting BGCUC with a $15,000 donation earmarked for scholarships. 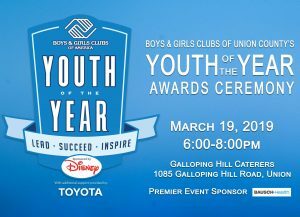 The Youth of the Year award ceremony is BGCUC’s most prestigious event of the year. The well attended event was held at the Galloping Hill Inn in Union, NJ from 6-8PM. Chris spent the days leading up to the event reviewing academic transcripts and essays written by Youth of the Year hopefuls. The judging culminated with interviews and Q&A sessions with each of this year’s candidates. While there were several young people who stood out to the panel of judges, there can only be one Youth of the Year recipient. 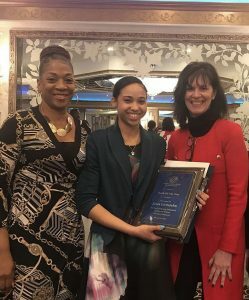 On behalf of our entire team here at Hillmann, congratulations to Jesea Littlejohn who is BGCUC’s 2019 Youth of the Year! Chris found Jesea incredibly well spoken during her interview and he was impressed with her academic transcript and essay. To find out how you can get involved with BGCUC, visit their website by clicking HERE. Or, to make a one time or reoccurring monthly donation, click HERE.